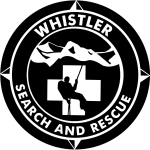 The first annual SAREx South West, or SARxSW, hosted by Coquitlam Search and Rescue was held on the weekend of September 27th and 28th. 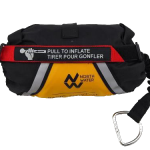 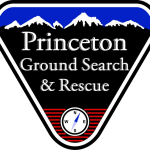 A “SAREx” is what the Search and Rescue world calls an event that combines field training, presentations and classroom sessions where several SAR groups are invited. 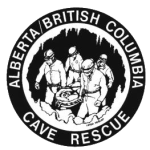 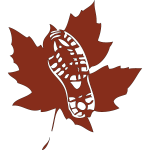 For SARxSW, the 14 SAR groups in south western BC (BCSARA Sea-to-Sky and Fraser Valley regions) were invited, as well as representatives from Royal Canadian Marine SAR, CASARA, and the Coquitlam Amateur Radio Club. 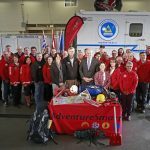 Organized by Coquitlam Search and Rescue, Saturday the 27th saw indoor sessions at the the David Lam Campus of Douglas College, who donated space for the event. 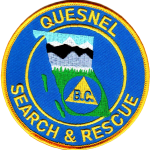 Presentations included Forensics for Search and Rescue volunteers by members of the RCMP, Interviewing for SAR Managers and team leaders by Vickie Weber from Juan De Fuca SAR, and a case study on a noteworthy rescue carried out by Squamish SAR that saw international attention. 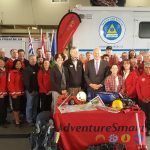 The south west regional SAR management meeting was held by Emergency Management BC. 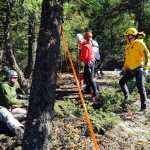 150 SAR volunteers attended on Saturday, and just over 80 were involved on Sunday. 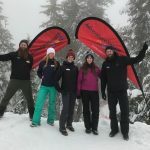 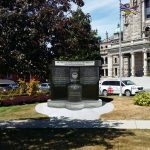 The organizers would like to thank BCSARA regional reps Sandra Riches and Mario Levesque, Emergency Management BC regional manager Andrew Morrison, and Acting Senior Regional Manager Ian Cunnings, the presenters and the commercial sponsors of the SARxSW for their support.